He's gonna wreck– the Internet? According to an official press release from Disney, the Wreck-It Ralph sequel is finally moving closer to production, with a new title, Ralph Breaks the Internet: Wreck-It Ralph 2, and a release date confirmed for March 9, 2018. Ralph very likely won't be going full-on Kim Kardashian in the sequel, which is rumored to move into the world of Internet gaming rather than the traditional arcade games which were shown in the first movie. 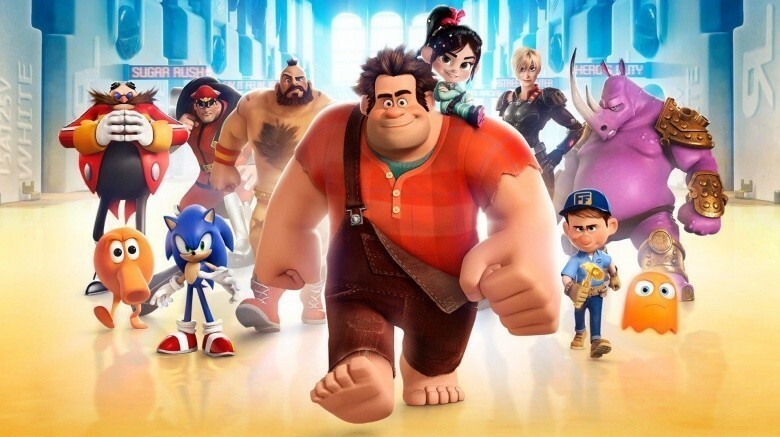 John C. Reilly (Ralph), Sara Silverman (Vanellope), Jack McBrayer (Fix-It Felix), and Jane Lynch (Calhoun) are all officially announced to return; it's unknown what other cast members, if any, will make a reappearance. (Alan Tudyk, who voiced Turbo, has said he's unsure if he will return, but it "has been suggested" that he will be participating.) Rich Moore (Zootopia) and Phil Johnston, who wrote the original script for Wreck-It Ralph, will co-direct. "To take these characters we love and have them enter the enormous world of the Internet has given us so much to explore," said Moore in the press release. "Our production team has been hard at work designing a world that takes something we all know– the Internet– but shows it in a whole new, imaginative way." "We're so excited to be working with Ralph, Vanellope von Schweetz, Fix-It Felix, and Sergeant Calhoun again, and we have new characters we look forward to unveiling," added Johnston. "At the center of this film, as in the first one, is the relationship between Ralph and Vanellope, two once-outcasts, who, in each other, found true friendship." While we wait for Ralph to break the Internet, see the other exciting films coming out in 2018.